I often lament about how much junk mail I get in my inbox. Are you the same? I don’t mean spam (although that is another topic altogether!). I mean the marketing emails I get from businesses or organisations I have subscribed to (or they have put me on their list anyway because I bought something from them once), and more commonly updates from social media pages, one day deal sites and other such communities. Now, yes for the most part I can unsubscribe from these, but some of them I do want to receive – just not every day! Sometimes I don’t even read the ones I should because I just don’t have time to. My inbox is so cluttered that’s its got ridiculous. At times I will make a concerted effort to unsubscribe to many I just never open anymore or will change my settings to reduce how often I get them but after a while it just seems to build up again. 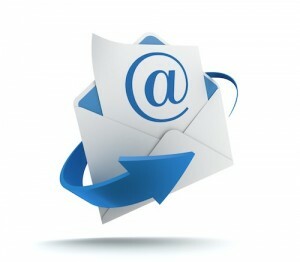 As a marketer I wonder whether it really is still relevant to send out marketing emails anymore. Theoretically if they have subscribed then they are all interested, but I know that’s not true and if you monitor the open percentages then you know that too. Has social media marketing taken over our attention and so email marketing is becoming an antiquated way to get peoples attention? My gut tells me that email marketing should still form part of your marketing strategy but it’s got to be less frequent and more “timely”. Don’t send out and email to your database every week, or even every month, if you don’t have anything really worthwhile to say – because after a while your customers will just hit DELETE. The main issue is that now everybody is doing it and a fair bit of effort needs to go in the each email. For me although its free to send it does not make it a cheap marketing tool because lots of preparation needs to go into each message. Thanks Paul, yes if the right effort and strategy is in place I’m sure the effectiveness of email marketing improves. I think it also depends on the type of business you operate, some are more likely to get repeat business than others where email marketing has a different effect. For tourism, In many cases I find that B2B email marketing drives better results, for example emails I send out for Salt Air to inbound tour operators and agents get great open rates because there is a stronger relationship there as business partners, but as the bulk of our customers are one-off international visitors we focus more on Facebook/Tripadvisor as tools to communicate and share their experiences with others.